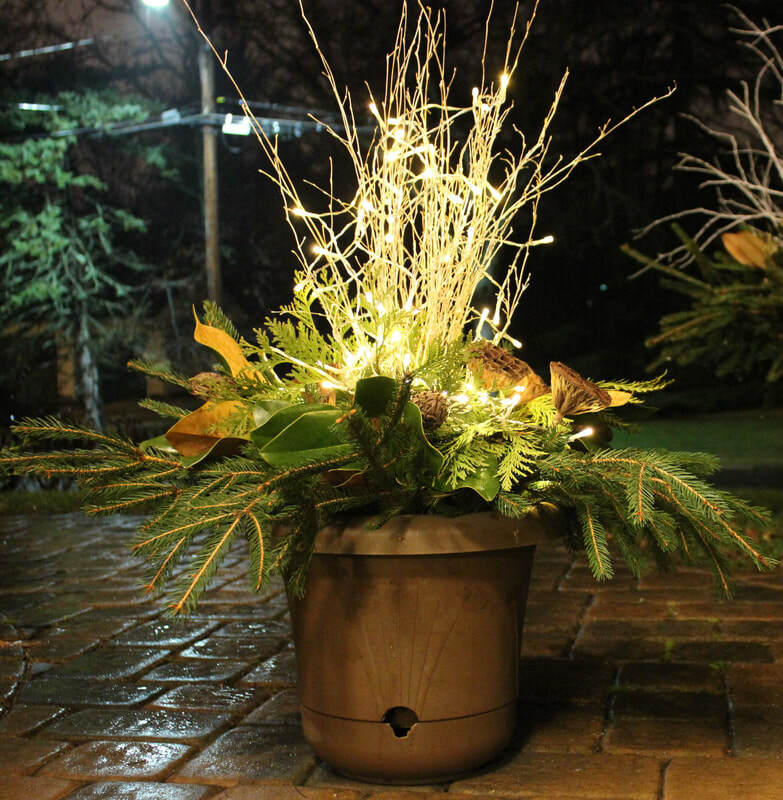 Wintertime is no excuse for a lack of color in the garden - I love to use evergreens and cuttings with tons of color and texture to individualize decorative containers for you to put on display and add festivity to your house. I can also add holiday lights and decorations. Check out my past holiday container work!